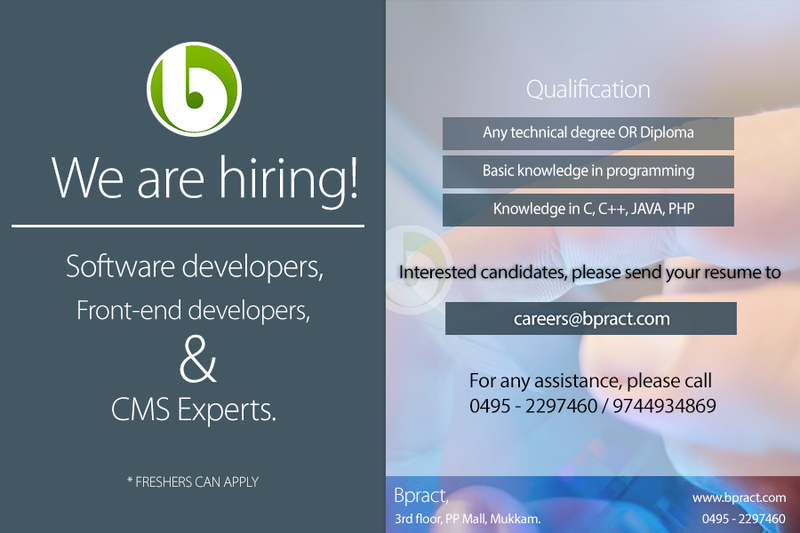 Join one of the best tech companies in india, grow your skillset and become a member of our ever-growing bpract family. Bpract is the place you can grow in full harmony. We choose only great talents out there, and if you are one, there's many to support you here. Bpract offers a better place for you to work, and learn things in a way no one offer. As a member of bpract family, you'll get everything you needed from a company you dream of. We use latest technologies up to date, and you're welcome to the team with highly talented co-workers, just like you. learn, practice, grow! SEO best practices,Deep understanding of keyword difficulty and relevance, as well as link popularity and its SEO relevance., Communication Skills,Knowledge of various technologies and web design principles and their effect on SEO.